Asparagus season is go & it’s a gusher! 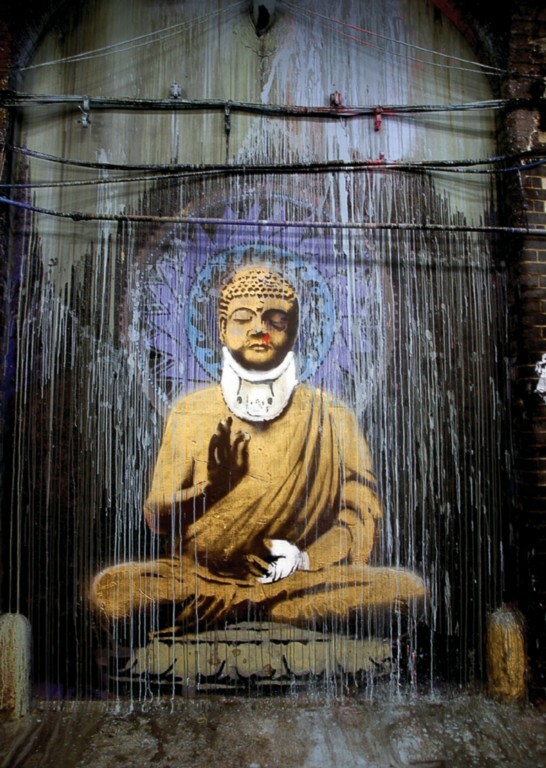 One day in the middle of my recent meditation retreat, I was gratified to be offered fat spears of asparagus, seared, cold and dressed with olive oil as one of several side dishes at lunch. I was surprised to see asparagus so early, since the season doesn’t officially start until St. George’s Day, April 23rd. Living as we do in the perpetual now, with seasonality apparently a thing of the past, one may purchase neatly-packaged Peruvian asparagus tips in the depths of winter (Morrisons had Mexican in Febrary). I won’t pretend that I never succumb – I can resist anything but temptation – but it’s just not the same. English asparagus is strictly a seasonal crop, available only for a couple of months, until Midsummer Day. Domestically-grown asparagus has to be better, if only because it hasn’t been subjected to extremely cold temperatures while being air-freighted from South America. Thanks to this country’s mild climate, English asparagus is plump and sweet, with more purple anthocyanin and green chlorophyll. As soon as the sun does start to shine, however, asparagus starts popping. Asparagus spears can put on up to 2cm/hour! And shone it jolly well did over the fortnight before Easter. Great ‘gras is not the exclusive preserve of the Brits. Any lush country with a similar, Maritime climate will do. 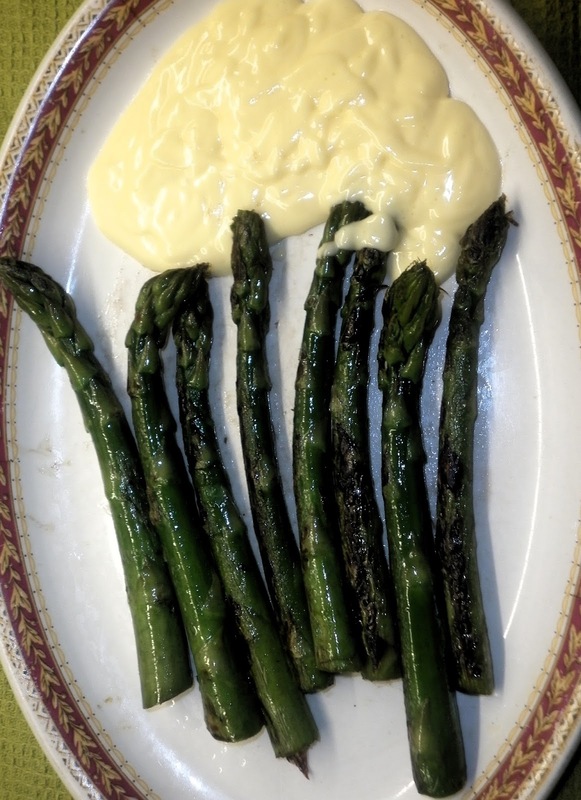 Visiting Wellington, NZ, I was so thrilled to find bushels of asparagus in a local supermarket that I staged an impromptu Asparagus Fest, a medley of recipes that inevitably included a velvety soup and my favourite, griddled ‘grass with Hollandaise. My Kiwi hosts were, I think, impressed. Or bemused. I couldn’t rightly say. Back home, I looked up Charlie Hicks’ inimitable market report to learn that, indeed, ‘some pretty fine weather has worked wonders with the early asparagus crop.’ You may remember Charlie from the Radio 4 show, Veg Talk a dozen years ago. Since then, his sidekick, Greg Wallace has become an unlikely Big Hitter on YouTube while Chazza has carried on the madcap greengrocery, describing himself as a Costermonger. Harvesting asparagus is labour intensive semi-skilled work with a sharp knife in a field, but growing white asparagus is laborious in the extreme. You keep it anaemic by blocking its sunlight, piling up earth around each spear as it springs from the ground. I’m not saying it’s wrong, but I’ve not had any for ages. I am, however, curious to try the purple variety, called Burgundine that Henry Chinn has grown in Suffolk. Since Henry also supplies Morrisons & Sainsburys with their packaged asparagus tips, I might not have to visit Borough Market to come by some. 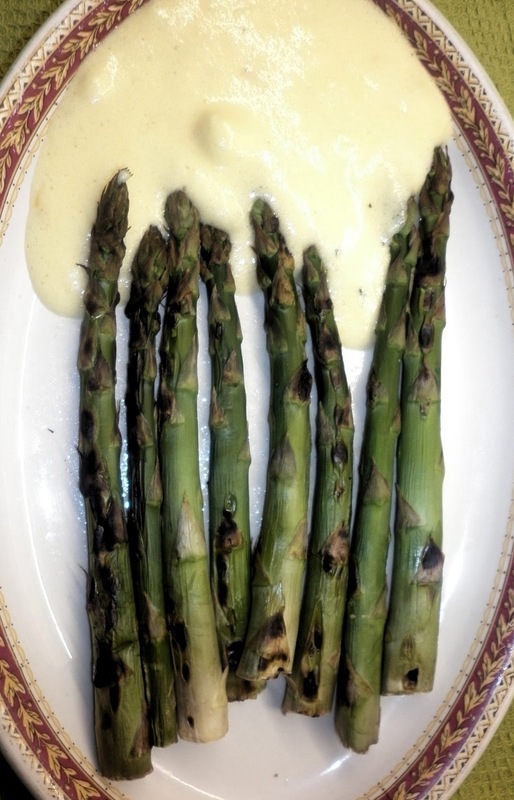 Of course, asparagus is not just a Chinn thing, nor is it the exclusive preserve of the Wye Valley. In the Garden of England, Evesham, the Great British Asparagus Festival runs through the season, climaxing at Asparafest – Worcestershire’s Aspara-tastic Music & Food Festival! – over the first weekend of June. Its mascot is Gus, a man dressed as a spear of Asparagus. He’s there to lead the revels, reminding up that British asparagus is a fleeting thing and to gorge upon it whenever the sun shines until the Summer Solstice. See you there, spear suckers. *BLOG UPDATE: Charlie Hicks hits Hereford in May’s Total Produce Market Report & visits Chris Chinn at Cobrey Farms, showing Chris harvesting the white asparagus, so you can see what a palava it is.